Get your brand new Chevrolet car at Castle Chevy North of Elk Grove Village, IL. 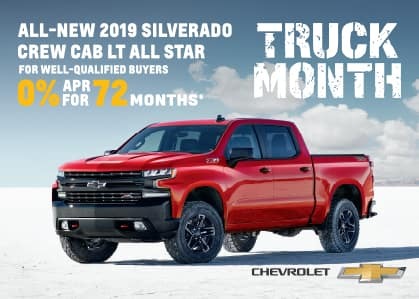 Castle Chevy North has all the latest cars, SUVs, crossovers, trucks and commercial vehicles at the most affordable prices in the greater Chicago area. Castle Chevy North is conveniently located in the heart of Elk Grove Village, IL and is a state of the art dealership with tons of tech features and every amenity you can imagine. Priced below KBB Fair Purchase Price! 2019 Chevrolet Spark 1LT $4,274 off MSRP! 4D Hatchback Black 1.4L DOHC FWD 30/38 City/Highway MPG*Home of the No-Hassle Deal * Every Vehicle is Priced Up Front based on the KBB.com Price Advisor from Kelly Blue Book. * Get an Instant Quote for your trade-in * Experience The Castle Difference ... Free Vehicle Delivery (Up to 50 miles), 72-Hour Love it or Exchange it Policy and much more... * Fast, Free Vehicle Appraisals, Written Offer Valid For 3 Days! Prices do not include government fees and taxes, any finance charges, any dealer document processing charge, and any electronic filing charge. * All vehicles sold on a first come, first serve basis. * By submitting your information you are authorizing us to be able to call, text, email you with additional information on this vehicle. * Price includes all applicable rebates: Rebates can not be combined with special APR offers. Priced below KBB Fair Purchase Price! 2019 Chevrolet Spark 1LT $4,274 off MSRP! 4D Hatchback Grey 1.4L DOHC FWD 30/38 City/Highway MPG*Home of the No-Hassle Deal * Every Vehicle is Priced Up Front based on the KBB.com Price Advisor from Kelly Blue Book. * Get an Instant Quote for your trade-in * Experience The Castle Difference ... Free Vehicle Delivery (Up to 50 miles), 72-Hour Love it or Exchange it Policy and much more... * Fast, Free Vehicle Appraisals, Written Offer Valid For 3 Days! Prices do not include government fees and taxes, any finance charges, any dealer document processing charge, and any electronic filing charge. * All vehicles sold on a first come, first serve basis. * By submitting your information you are authorizing us to be able to call, text, email you with additional information on this vehicle. * Price includes all applicable rebates: Rebates can not be combined with special APR offers. Priced below KBB Fair Purchase Price! 2019 Chevrolet Sonic LT $6,238 off MSRP! 4D Sedan Summit White 1.4L 4-Cylinder Turbocharged FWD 26/34 City/Highway MPG*Home of the No-Hassle Deal * Every Vehicle is Priced Up Front based on the KBB.com Price Advisor from Kelly Blue Book. * Get an Instant Quote for your trade-in * Experience The Castle Difference ... Free Vehicle Delivery (Up to 50 miles), 72-Hour Love it or Exchange it Policy and much more... * Fast, Free Vehicle Appraisals, Written Offer Valid For 3 Days! Prices do not include government fees and taxes, any finance charges, any dealer document processing charge, and any electronic filing charge. * All vehicles sold on a first come, first serve basis. * By submitting your information you are authorizing us to be able to call, text, email you with additional information on this vehicle. * Price includes all applicable rebates: Rebates can not be combined with special APR offers. Priced below KBB Fair Purchase Price! 2019 Chevrolet Sonic LT $6,238 off MSRP! 4D Sedan Gray Metallic 1.4L 4-Cylinder Turbocharged FWD 26/34 City/Highway MPG*Home of the No-Hassle Deal * Every Vehicle is Priced Up Front based on the KBB.com Price Advisor from Kelly Blue Book. * Get an Instant Quote for your trade-in * Experience The Castle Difference ... Free Vehicle Delivery (Up to 50 miles), 72-Hour Love it or Exchange it Policy and much more... * Fast, Free Vehicle Appraisals, Written Offer Valid For 3 Days! Prices do not include government fees and taxes, any finance charges, any dealer document processing charge, and any electronic filing charge. * All vehicles sold on a first come, first serve basis. * By submitting your information you are authorizing us to be able to call, text, email you with additional information on this vehicle. * Price includes all applicable rebates: Rebates can not be combined with special APR offers. Priced below KBB Fair Purchase Price! 2019 Chevrolet Sonic LT $6,365 off MSRP! 4D Sedan Blue Metallic 1.4L 4-Cylinder Turbocharged FWD 26/34 City/Highway MPG*Home of the No-Hassle Deal * Every Vehicle is Priced Up Front based on the KBB.com Price Advisor from Kelly Blue Book. * Get an Instant Quote for your trade-in * Experience The Castle Difference ... Free Vehicle Delivery (Up to 50 miles), 72-Hour Love it or Exchange it Policy and much more... * Fast, Free Vehicle Appraisals, Written Offer Valid For 3 Days! Prices do not include government fees and taxes, any finance charges, any dealer document processing charge, and any electronic filing charge. * All vehicles sold on a first come, first serve basis. * By submitting your information you are authorizing us to be able to call, text, email you with additional information on this vehicle. * Price includes all applicable rebates: Rebates can not be combined with special APR offers.